Sandler. We inspire markets.|For more than 130 years, Sandler AG has been led and shaped by the Sandler families. A "one-location policy" in the centre of Europe enables us to implement ideas and make decisions more quickly, as well as respond more flexibly to changes in the markets. This allows us to be a strong partner, furthering the interests of our customers and our markets both now and in the future. Today, we are leaders in technology, ranking among the top five European manufacturers of nonwovens with a product range that is unique in the industry: for markets ranging from hygiene, wipes and medical applications as well as technical applications like automotive, filters and construction to the home textiles sector. Sanford Holshouser Economic Development Consulting, LLC provides site selection and incentive negotiation services to Association members, which are choosing a location for a new facility or expanding an existing facility. These services will help assure that a company will make a well informed site selection decision based on all necessary information and data, and that a company will receive the benefit of the highest possible levels of financial incentive support for a new or expansion project. We specialize in supplying Super Absorbent Polymers for the hygiene industry for products such as diapers and feminine napkins. Sateri is a global leader in viscose rayon, our natural and high-quality fibre, made from trees grown on a renewable plantation and can be found in skin-friendly hygiene products. Automated optical inspection systems for nonwovens. Defect detection and material properties monitoring. Surveys targeting almost all nonwovens (durable and disposable) markets around the globe. Schober founded in 1949, is recognized worldwide as a leading supplier of Rotary Converting Technology in the field of Die Cutting, Sealing, Scoring, Perforating/Needling, Total System Solutions and Process Development with over 60 years of experience in engineering, designing and manufacturing. Extensive experience in cutting, combined with engineering capabilities are dedicated to leading the developments for longer lifetimes, reduced service efforts and general increased productivity. Our manufacturing process, precision and materials used, ranging from D2 to Tungsten Carbide, allow us to produce solid or segmented crush cut dies. In connection with our customized bearing and frame technology they outperform any tooling on the market today. Die re-sharpening services are available at our Fairfield OH location. We manufacture quality nonwoven filter media roll goods for a variety of applications. Our food grade nonwoven media is FDA and CFR Title 21 compliant, and can be customized to meet your specifications. Please contact us to discuss your filter product requirements. 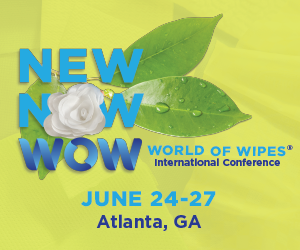 Sellars Nonwovens is a leading manufacturer of nonwovens for wipes, shop towels, disposable wipers, and sorbents that are made with recycled fibers. Our product lines include our patent pending EverSoak® Sorbents; Red, Blue and White Shop Towels in our patented Big Grip® Bucket and Poly Wrap Dispenser, along with many other disposable products. Sellars Double Re-Creped (DRC) technology provides products with unmatched wet-to-dry tensile strength, super absorbency and softness. Sellars' Nonwoven team has the technical expertise to meet your particular product specifications and business needs. SGS supplies testing and auditing services, chemical testing, performance and claim substantiation. SHALAG a Nonwovens manufacturer of Thermobonded Technology as Carded Air Through and Calender bonded Nonwovens for the Hygiene, wiped and industrial markets.|Two production sites: Shamir Israel and Oxford, NC USA. Shanghai Double Ray Textile Co., Ltd. is a trading company specialized in textile raw materials, nonwoven fabrics, and functional fabrics. We mainly import and export chemical fibers and textile products. Our company mainly exports all kinds of nonwovens, such as spunlace nonwoven, spunbond, needlepunch fabric, thermal bond fabric, airlaid paper, and FR viscose fibers, rayon, PET fibers, PLA fibers. Our company dedicates to the research and development of filter equipment. Our products,widely used in automobile,household appliances,purification,water treatment and hydraulic industry, include the filter manufacturing equipment,the general assembly equipment,the oil,fuel and air filter test stands for testing each filter performance according to international standards,and the phosphorizing,powder spraying and paint spraying production line for product surface treatment. Shemesh Automation has delivered innovative core fillers, cappers, sealers and labellers for major industry players over the last 30 years. SA Wet Wipes, an arm of SA, offers premium turnkey round wipes lineup technology, producing high quality rolls of nonwoven wipes in a variety of packaging. SAW has a main wet wipes portfolio that includes: rolls feed conveyor, automatic rolls stuffing, dosers and fillers, foil cutters and canisters sealers, cappers, continuous labellers, case packers and all in various through puts ranging from 30 and up to 200 products per minute. We purchase nonwoven fabrics to produce medical and non-medcal products. SNS is a consultancy that specializes in managing the production of electrospun nanofibers. We are a manufacturer of overhead fans for dust and lint accumulation. We prevent the accumulation of dust and lint in overhead and hard-to-reach areas of a facility. The Photovoltaic (PV) Modular System for solar panel assembly.|Plus a large selection of other ultrasonic bonding equipment. Processor and supplier of hemp bast and hurd fibers for woven and nonwoven textile applications. Southeast Nonwovens provides three essential services to the NW industry: 1) Contract Research and development from bench scale, to pilot scale, through to small scae manufacturing. 2) Toll Manufacturing and Contract manufacturing of wet laid, dry laid, and airlaid NW's. 3) Converting services - Laminating, rewinding, inspection, slitting, and sheeting. We work with all types of staple fibers and manufacturing processes using staple fibers. We can bond, thermally, mechanically, and chemically. Spraying Systems Co., with over 90,000+ products, is the world leader in spray technology. We have years of experience in supplying spray systems to the non-woven industry including systems that apply surfactants, dyes and pigments, optical brighteners, water repellants, fire retardants, antimicrobials, fabric softeners and more. Our capabilities range in supplying the spray guns/tips, manifolds, controls and fluid delivery systems to fit your unique needs. Our dedicated, global, technical sales network is available to work with you on the specifics of your application and to provide a solution with Superior Spray. Serious Results..
N.R Spuntech Industries is a dynamic developer, manufacturer and supplier of spunlace (hydroentangled) fabric products. Sukano is the world leader in the development and production of functional additives and color masterbatches for polyester (PET, rPET, PETG, PBT, PLA) and other resins (PA, PC, PP, etc.). Our fields of application are Fibers and Filaments, Biopolymers, Sheets, Bottles and Containers, Thin Films and Thick Films. We are actively expanding our experience in the Fibers area. Suominen provides products and solutions that bring greater convenience to people's everyday lives. Suominen's know-how extends from in-house fiber production, nonwovens, and innovative packaging concepts all the way to lotions and end-product integration. Suominen's unique mix of capabilities offers an excellent foundation for growth in our main markets. Nonwovens made by Suominen use natural and synthetic fibers to produce roll goods for customers who turn them into hundreds of products used every day, everywhere, such as wiping, hygiene and healthcare products. Producers of pulp (short fiber) and paper (printing and writing mainly). SWM is a leading global provider of engineered solutions and advanced materials. SWM's engineered components are used in leading nonwovens products, serving the consumer goods, filtration and automotive industries. Our leading brands include Delpore® Meltblown Media, AlphaStar™ Electrostatic Media, Naltex® Diamond Netting, and Conwed® Square Netting. Currently consulting for marketing and technical services. Raw material supplier for consumer products.